The Computer MOT Centre established in 1998, and is one of the largest specialist computer repair and laptop repair and apple repair centres in North Wales. 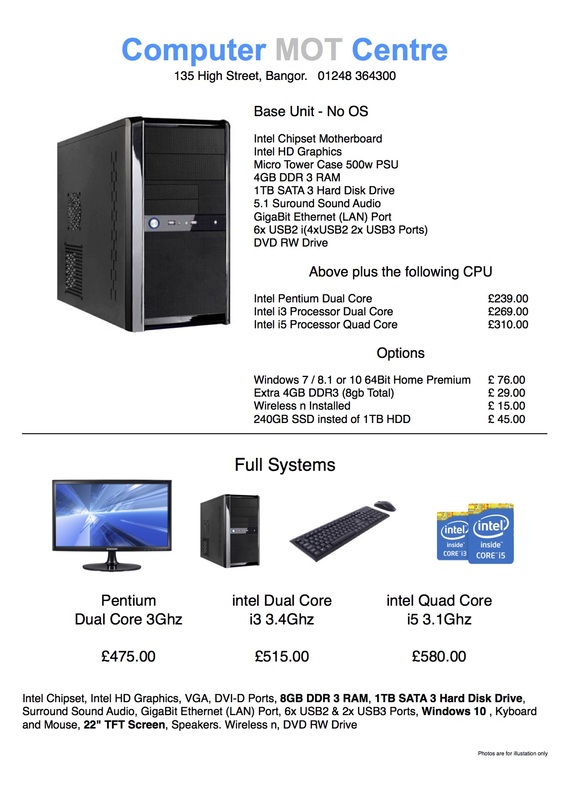 We also carry a large selection of components and peripherals in stock, making us a one stop shop for all your I.T. needs. With over 20 years experience in fixing PC's and Macs, we guarantee to provide a complete solution to your problem, and we will do everything we can, to make sure you are back up and running, without loosing any important files, efficiently and promptly. © 2018 Computer MOT Centre Ltd. eMail: site admin.